Your website is automatically made to work and fit nicely within tablet and mobile devices. There is nothing to do and no need to make separate versions. Our multisite website builder takes care of it! Empowerkit comes with various form apps to help partners generate leads. You can also integrate with any CRM or manage your leads within Empowerkit! Layout builder, design shuffler and skins are just a few of the powerful design tools that allow you to create anything you can dream of in our channel partner marketing software. Our team is pushing new features and updates daily so you can have the absolute best experience in our multisite website builder! Speed is everything, so we built an advanced caching system that serves up your sites super quickly. Integrates with your favorite analytics program! Skins are a set of styles that you can apply to your site at any point of your site design and creation process. When you apply a skin, you don’t have to redo any of your layout, content or structure so you can change your mind as many times you’d like. Skins can be previewed on any of your pages. As an advanced Empowerkit designer you can create your own skin! Need some new ideas? Not sure what to try? This revolutionary feature can take any site as-is and generates thousands of new styles for you to preview on your site, live. It can factor in everything from font-pairings, to margins & paddings, to color palettes. 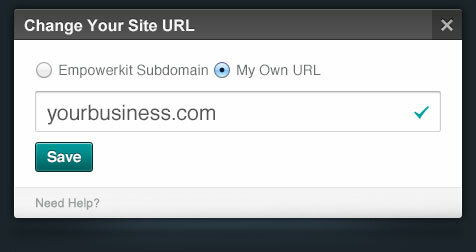 You can use any domain you’d like with your Empowerkit site! Your email, ftp, etc. is all where it was before you met Empowerkit. Our hosting has no storage or bandwidth limits. You only point your website to our servers, or you can use your own hosting account if you’d like! The Bulk Style Editor lets you group specific styles you select – for text, buttons, images, and various containers – and apply them to different blocks of your pages in bulk. This lets you move through styling your site more quickly, and also helps keep the design of your pages consistent. As Many Pages As You’d Like! We can’t do everything for you, but what we can do is allow you to embed functionality from other applications within your Empowerkit site. Use the Embed app to embed what you need! You can also embed any forms from MailChimp, ConstantContact or any other newsletter management service that provides embed codes. 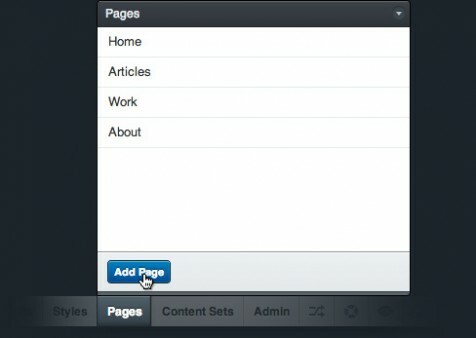 For Content Heavy Apps... CMS View! 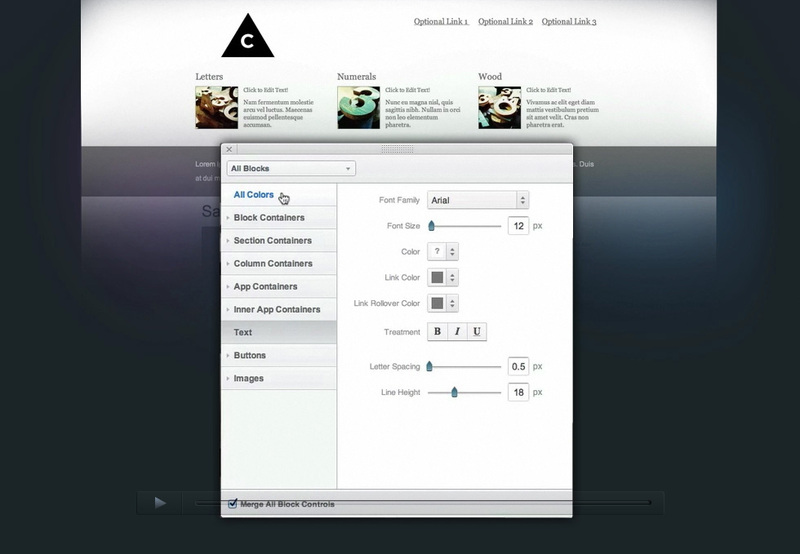 Empowerkit optimizes the editing experience depending on the app. If you’re editing an app like the Projects or Blog app, you can focus on just editing your content in the CMS view, instead of focusing on the design elements. You can easily edit most content right on your page, just by double clicking to modify text, images, videos, forms & more. If you’re stuck creating the right content for your site, check out our Content Sets! You’ll find complete content for the apps that make sense for specific types of websites, including text, images, and more. Import Content Sets with one or more complete pages, and look out for many more coming soon!